This is a really juicy one to get comments on. 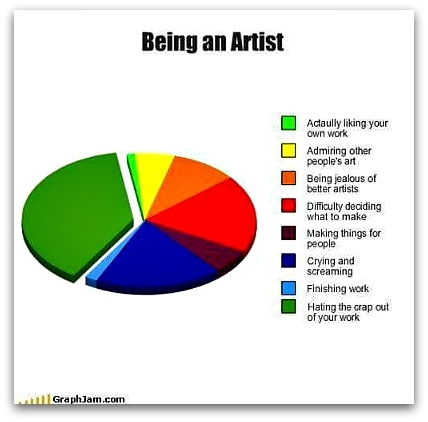 I see this as a pie chart for how to be an unhappy artist. As Agnes Martin would say , if you don’t like your work you miss the reward. I would include a sliver of pie that says “jumping for joy” you know for balance. Literally the epitome of my struggle! In pie chart form. I love the “finishing work” slice – that is certainly how it feels!